In 1802, the merchant ship Obra Dinn set out from London for the Orient with over 200 tons of trade goods. Six months later it hadn't met its rendezvous point at the Cape of Good Hope and was declared lost at sea. Early this morning of October 14th, 1807, the Obra Dinn drifted into port at Falmouth with damaged sails and no visible crew. As insurance investigator for the East India Company's London Office, dispatch immediately to Falmouth, find means to board the ship, and prepare an assessment of damages. Return of the Obra Dinn stands as something wholly unique. An investigative puzzle game with clear goals but completely open ended paths to completing them, it’s a challenging exercise in piecing together a mystery without being spoon fed what to pay attention to. It’s got some small quality of life issues here and there, but the “moment of death” clue-hunting mechanic at its core is an absolute triumph. Return of the Obra Dinn is structurally flawless and beautifully executed in gameplay and technical flair. It’s not without its minor flaws as a product, like all great games, but it rises above them. The writing, voice acting, and soundtrack are all first-rate, full of gusto, vim, and verve. Lucas Pope is a virtuoso game designer whose mature use of the medium transcends a crude sense of fun or bang-for-the-buck. 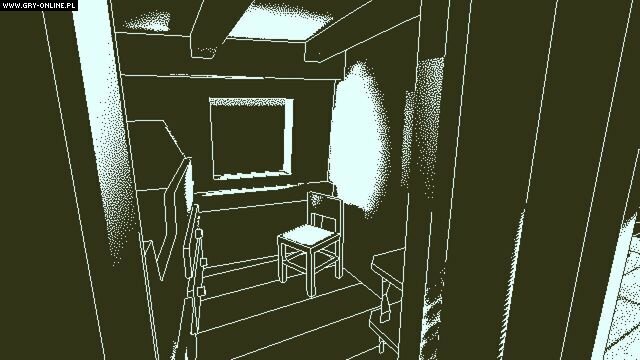 Return of the Obra Dinn is a stunningly clever thing and one of the best puzzle games on PC. It not only presents you with a vast, complex, and interconnected mystery to solve, but trusts in your intelligence enough to let you do it yourself with almost no hints, markers, or guides interfering in the process. Few games have this much confidence in the player, and it’s a deeply satisfying experience as a result, even if I did occasionally feel like I’d hit a dead end. The only downside to Return of the Obra Dinn is that I foresee someone attempting to copy this game’s formula, and it will fail. There is not a single piece of this game that can’t be deduced from the information the game presents. I feel copycats will understand the general concept but not succeed in tying up every loose end like Pope did here. All four years of development are on display. Return of the Obra Dinn is a unique experience worth every penny. I can’t recommend this game enough. There is nothing quite like it. Plenty of games promise to make you feel like a detective only to have you checking boxes, but here it's different. Return of the Obra Dinn gives you all the tools you'll need to solve its puzzles--the book interface is a masterpiece of connected design--and then trusts that you'll be capable of arriving at the correct answers by yourself. In all other respects though this achieves everything it sets out to do with astonishing aplomb. Not only is it a great game in itself but it establishes what is essentially a new genre for subsequent games to explore and expand on. 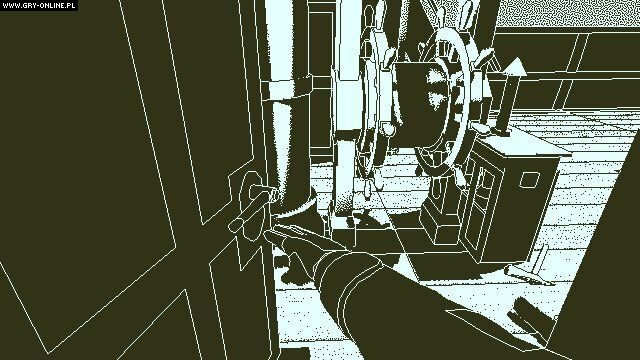 Playing detective is finally something that’s both fun and rewarding and that is the Obra Dinn’s most fascinating revelation of all. We can't imagine how hard it must have been interweaving the tales of 60 different individuals together and keeping track of them, let alone deploying that into a jumbled, non-linear story, but Pope has done a marvellous job at creating this wonderful web of stories. It touches upon the fantastical, the tragic, and the downright spectacular, and with a wrapping as gorgeous as the style used here, it's one to watch for anyone who likes a conundrum or just an undeniably unique experience. 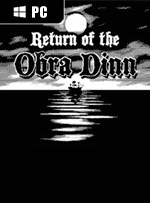 Return of the Obra Dinn es una demostración inapelable de que en esta bendita forma de entretenimiento queda muchísimo por explorar e innovar, y que afortunadamente para ello no hacen falta ni los medios técnicos más punteros ni presupuestos faraónicos. Un colosal nuevo triunfo de narrativa personal al servicio de la jugabilidad más original y fresca a cargo del maestro Lucas Pope. En conjunto, la nueva obra de Pope es excelente a todos los niveles. Una obra que nos invita a descubrir de una forma conocida, pero en perfecta ejecución una historia interesante y que nos atrapará a la mínima que le demos una oportunidad. Como avanzamos en la historia a través de la narrativa deductiva es un lujo que ninguno de nosotros debería dejar pasar. Una obra maestra a la que todos deberíamos dedicar nuestro tiempo. En una última muestra de respeto por la inteligencia del jugador, incluso después de completar todo el proceso y dar con el destino de las 60 personas a bordo, Lucas Pope nunca recapitula y transcribe el relato, nunca llega a condensar en palabras la historia en la que se enmarcan las muertes y desapariciones que uno registra en él como un mero trámite, con la frialdad administrativa de un simple numerario de gafitas redondas. Con una poderosa narrativa y magistral puesta en escena, esta aventura de Lucas Pope basa toda su acción en la capacidad de deducción del propio jugador, para que sea él y solo él quien resuelva el macabro rompecabezas sobre el que se construye la historia de este genial videojuego. Es una obra única, muy personal y, por tanto, difícil de recomendar; pero si te gustan los juegos de misterio y te crees todo un detective, no encontrarás nada mejor. 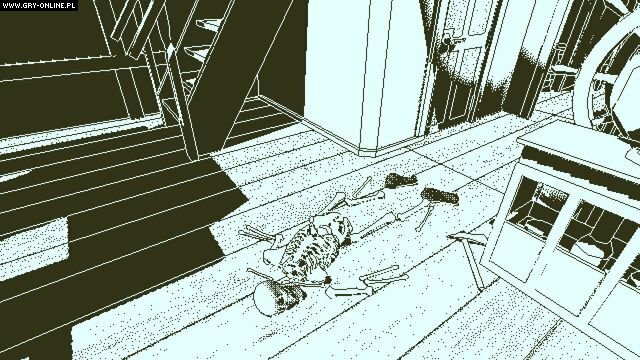 The Return of the Obra Dinn es una aventura de investigación muy interesante. Se nota detrás que es una obra muy personal del autor, Lucas Pope, y está dirigido y desarrollado con maestría. Si queréis jugar a algo parecido a una partida de un sólo jugador del Cluedo, o cualquier juego de investigación, con una historia propia, esto vendría a ser lo más parecido y concentrado que encontraréis a día de hoy. 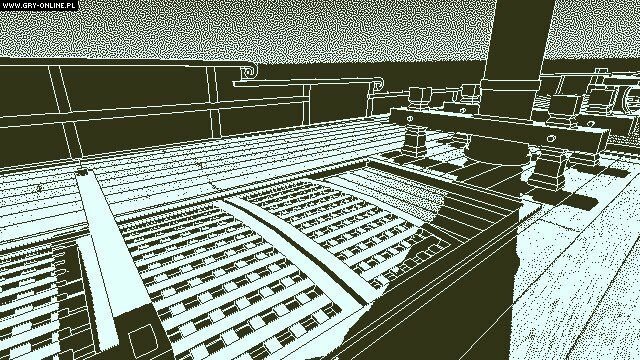 Return of the Obra Dinn ist ein stilsicheres, pixelschönes Abenteuer, das sich in einem ganz wichtigen Punkt von anderen Knobeleien unterscheidet: Es führt nicht auf den Weg zur Lösung, sondern verlangt das logische Kombinieren von Hinweisen. Aus einer Vielzahl an Informationen muss man die richtigen filtern und so zusammenfügen, dass die daraus erstellte Ereigniskette plausibel ist. Normalerweise ist es bei mir so, dass ich mich zwar freue, wenn ich abends ein tolles Spiel weiterzocken kann, aber davor und danach denke ich kaum daran. Return of the Obra Dinn hat mich aber auch dann nicht losgelassen. Vor allem weil es echte Denkarbeit und Deduktion fordert und wir uns nach einem gelösten Todesfall ähnlich befriedigt belohnt fühlen, wie als hätten wir in Dark Souls nach langem Üben einen knackigen Bossgegner geschafft. Brillamment réalisée, écrite et racontée, l'histoire des 60 membres d'équipage de ce mystérieux et inquiétant navire propulse le joueur au rang de véritable détective, qui devra user de logique, d'observation et de jugeote pour remplir son carnet d'hypothèses valides. Un véritable tour de force qui vous manquera à la seconde où vous l'aurez fini. Dans la grande cohorte que composent nos lecteurs de bon goût, nombreux sont ceux qui connaissent le nom de Lucas Pope, le game designer derrière Papers, Please. Fort de la notoriété acquise à l’aide de sa simulation de douanier dans un pays en guerre, Pope s’est mis au chantier sur son nouveau bébé, bien plus ambitieux que son précédent projet. Return of the Obra Dinn réserve avec son récit décousu et truffé de zones d'ombres quelques merveilleuses heures d'exploration, bien qu'une pratique courante de l'anglais soit chaudement recommandée. Entêtant au possible, le nouveau jeu de Lucas Pope fait clairement partie de ces jeux que vous ne pourrez plus lâcher une fois lancé. Pire, il vous poursuivra en dehors de chez vous, virant parfois à l'obsession. La marque des grands, assurément. Ci si ritrova a viaggiare tra gli ultimi momenti di vita di un intero equipaggio a cui ne sono davvero successe troppe e nel farlo si sfrutta un sistema di gioco essenziale, che non contiene elementi superflui e che mette davvero in primo piano le nostre capacità deduttive, il nostro spirito di osservazione e la nostra costanza. Un altro centro per Lucas Pope, dopo Papers, Please. Return of the Obra Dinn è un'opera importante, quantomeno per chi considera i videogiochi qualcosa di più di un passatempo con cui divertirsi. Si tratta di uno dei pochi giochi autoriali degli ultimi anni, realizzato con grande gusto e capacità. Come scritto nella recensione, è uno dei migliori giochi d'investigazione che siano mai stati realizzati, se non il migliore in assoluto. Consigliato senza riserve.